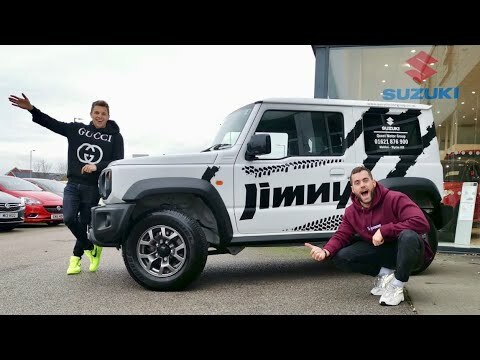 The hugely anticipated New Suzuki Jimny has arrived! Prepare yourself for a drive like no other, with unrivalled levels of fun and off-road performance. Rugged yet stylish, the New Jimny does it all with it's bold and prominent characteristics including flared wheel arches, black grille, black front and rear bumper and stylish alloy wheels. The New Suzuki Jimny will be sure to stand out on (and off) the roads of Essex. Featuring the latest technology throughout the New Suzuki Jimny give you an off-road beast that'll keep you connected to your nearest and dearest while on or off-road. Loaded with great safety features to keep you safe on the road, including lane departure warning, dual-camera brake support, LED running lights and a whole lot more, you can rest assure your family is well protected in the New Suzuki Jimny. If you want to test drive the new Suzuki Jimny, contact Quest Motor Group today to make a booking.